If you watched Apple’s Keynote address at the WorldWide Developer’s Conference earlier this month, you could be forgiven for coming away a little disappointed. Apple did not announce – as many had hoped – a new phone, a new product line, or even any updates of their current products. They did unveil OS X 10.10 Yosemite and iOS 8, but even these reveals contained little that was earth shattering to the casual observer. No iWatch, no iPhone 6, no iPad 2, and no Apple Television. Nothing for gadget lovers to get excited about. If you find yourself in the ranks of the disappointed, then read on: I’m about to tell you why Apple could be about to hit a Grand Slam. If you follow baseball, you know that the grand slam home run can be one of the most match-altering plays in sport. When a batter smashes a pitch over the wall, scoring four runners – the most possible in baseball – the game is almost decided then and there. At least, that’s the way it appears. But have you ever considered the work that play took to set up? At least three separate players have to get on base, with singles only. This takes time, precision, and a lot of luck. We’ll start with a simple one. We’ve heard the rumours that Apple wants to introduce a biometric-reading watch. The iPhone 5S already includes the M7 motion co-processor, storing up to the past 7 days of your movement. It can tell the difference between running, walking or driving, and can be easily used to collect your calorie burn rate for the past seven days. Many apps already use this information to help us stay on the right side of our appetites. However, there is no centralised location where this information is stored. Google learned about this the hard way, with their Google Health effort. While well-intentioned, they weren’t able to get people to buy in to Google holding your health data. A centralized repository of your health information – rather than empowering people – made them uncomfortable. Apple has learned from this. 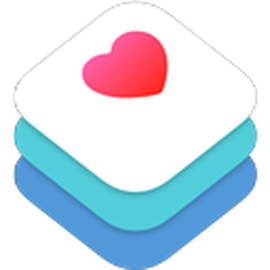 The HealthKit data lives on your phone, and is only shared with your explicit permission. This gives you control over your own data that Google Health just couldn’t match. Your phone will collect it, but won’t send it anywhere without your say-so. Here, we have a seemingly tiny addition; Developers will now be able to change the size of the simulated window with which we test our apps. What does this mean? Quite simply, it means Apple is telling us that we have to start assuming that our apps could appear on a screen of any size. Certainly, this could point to larger iPhones, and iPads, as many of suggested thus far. But it will also mean designing apps for watch-sized screens, or even for dashboards in cars. Another wrinkle; some very clever developers have discovered a hidden mode in iOS8 that allows users to run two iPad apps side by side. This would be another great reason for us to need a resizable simulator. Finally, no WWDC discussion would be complete without mentioning Swift. If you watched the Keynote Address, you heard thousands of developers whooping and hollering in their seats while the new programming language was being announced. Why all the fuss? The fact is, Objective-C – the language most iOS developers use – is getting old. Its origins are a little fuzzy, but we can certainly trace it back to the 80’s and Steve Jobs’ NeXT, before they were acquired by Apple. Objective-C’s age means that it lacks a number of really useful concepts that modern software development is moving towards. Swift goes a long way toward fixing that problem. It simplifies the code, provides developers with an array of powerful tools, and does this all without breaking compatibility with old versions of iOS. In other words, we’ll be faster and better at creating great experiences than ever. Swift has also seen one of the fastest language adoptions in history; over 300,000 people have downloaded a copy of Apple’s book “The Swift Programming Language”, and it hasn’t even been released yet except as beta software! 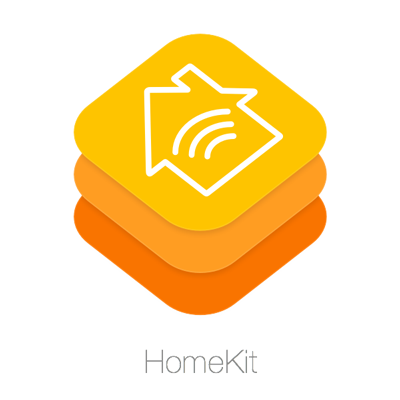 HomeKit was by far the loneliest functionality announced at WWDC this year. Every other piece of functionality had something to demonstrate its value, except for HomeKit. It has potential though, to really change the way we look at the Smart Home, taking disparate tools from different vendors, and stitching them together via your iOS device. This isn’t the first time that Apple has done something like this. Cast your mind way back to early 2001. Steve Jobs had introduced the iTunes media player application on Mac OS 9. At the time, the CD ripping/burning and playlist-creating functionality was powerful, with Jobs enthusing: “You’ll be able to rip CDs, build a library, build playlists, play your music on computer, transfer your music to portable MP3 players, and listen to internet radio.” Everyone thought that this was a fantastic product, but Apple had greater plans. In March of that year, at a small event, Jobs revealed the iPod. It may not have been a revolutionary device, but it was designed and built to work seamlessly with the new version of iTunes… that users had been primed with a few months before. Already familiar with ripping their CDs and building playlists, Mac users were now ready to take them on the road with iPod. Well, with HealthKit and resizable simulators, Apple is now training us to accept having our health data in one place. They’re training developers to think about app interfaces that work no matter what size of screen they’re on. And with Swift, they’re finally getting serious about giving developers some amazing, modern tools to work with. We don’t know what Apple will reveal in the coming months. But if WWDC is any indication, they are not planning a simple incremental update. Apple has loaded the bases; look out for a grand slam soon.